This week's giveaway is all about staying comfy and cozy. 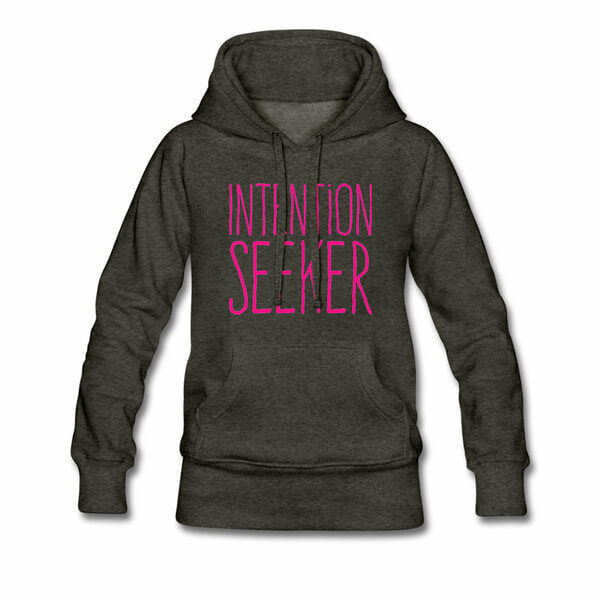 As winter moves into spring, there may still be a chill in the air at times, and what better thing to have on hand than a DOYOUYOGA signature "Intention Seeker" hoodie? Bring it along to yoga class so that you stay comfy and warm during Savasana, or throw it on to meet some friends for coffee! Wherever you go, and whatever you do, the "Intention Seeker" hoodie is the best way to show the world that you're into yoga. Made in the United States and sweatshop free, it's something you can feel awesome about wearing! So what are you waiting for? Follow the instructions below to get your very own DOYOUYOGA signature hoodie! The giveaway runs from Monday, April 4, 2016 to Monday, April 11, 2016. On Monday, April 11th, three randomly selected users will be chosen to win an "Intention Seeker" hoodie of their choice. So make sure to share and comment to enter! Congratulations to @emmacastellanos, @kprov4, and @tarobun for winning this week's giveaway!